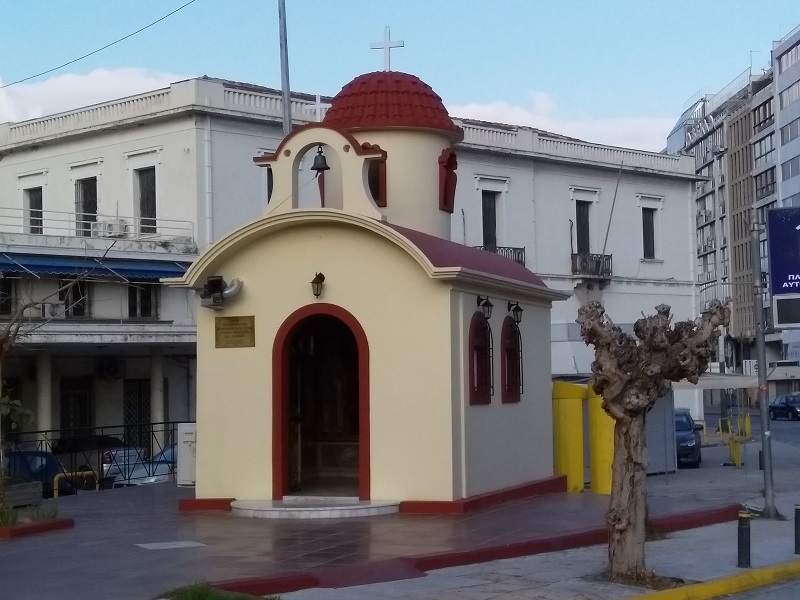 Why Are There so Many Tiny Churches in Greece? There are a lot of churches in Greece and some of them are tiny. I had no idea such small churches existed until went walking in Piraeus earlier today. Piraeus is home to the ferry terminal. If you want to take a trip to any of the Greek Islands, it’s the place to go. All I wanted to do was take a walk near the sea and do a little exploring. I was amazed when I discovered the most incredible tiny church. The door was open so I went inside. Everything was immaculately clean and the walls and ceiling were decorated with beautiful murals. I’d never seen anything like it. I don’t think a place like that would remain so beautiful in the UK. The vandals would ruin it with their cans of spray paint and marker pens. Perhaps even take a knife to the walls and scratch out their names. This is a different culture and it appears people have more respect. According to the plaque near the door, this wonderful, little place of worship is the Chapel of the Neomartyrs Raphael, Nicholaos and Irene. I did a little research when I returned home and discovered Raphael, Nicholaos, and Irene were martyred at the hands of Turkish invaders on the Greek Island of Lesbos. Apparently, all three were tortured and died in a horrendous way but nothing was known of them until they appeared to the islanders in dreams and visions 500 years later, revealed the circumstances of their deaths, and guided the islanders to the location of their graves. Irene was only 12-years-old when she was murdered. The invaders cut off one of her arms and baked her alive in a large earthen cask. 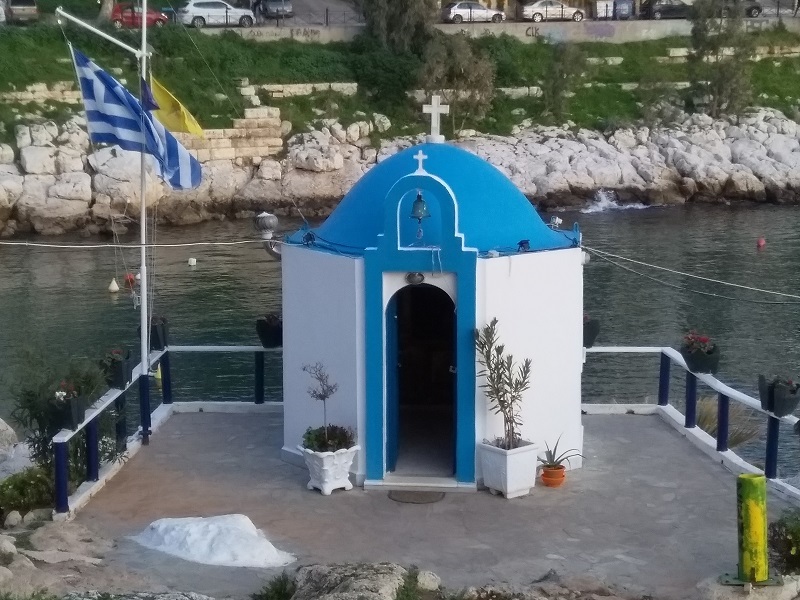 The tiny church in Piraeus is very beautiful, but it’s an ugly story. 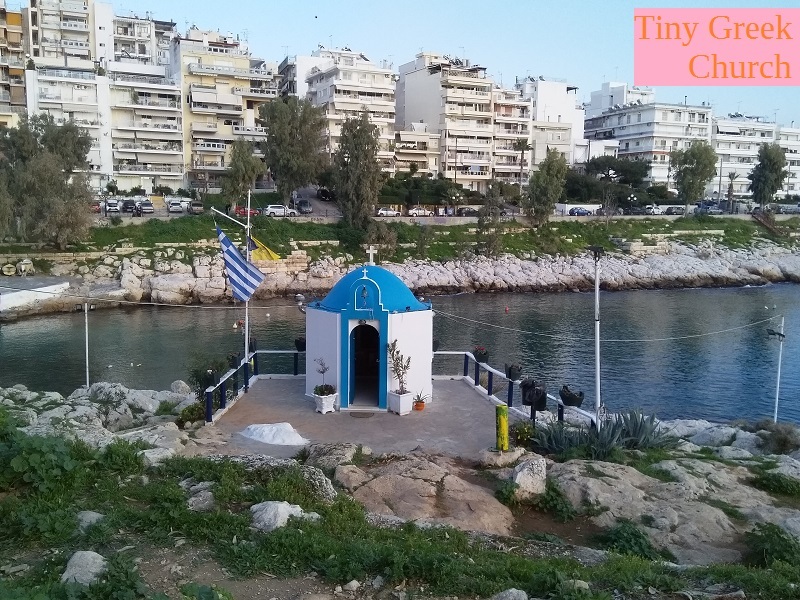 After I’d finished looking at the tiny church build in memory of Raphael, Nicholaos, and Irene, I continued walking and surprised when I saw another tiny Greek church. This one was built closer to the water. I didn’t bother to take a look at it, but I was very curious about it. A little later on, I popped in a bar and struck up a conversation with two of the barmaids. I showed them pictures of the two tiny churches and asked why they were there. They couldn’t tell me. I got the impression there must be so many tiny churches in Greece it was so normal to see them that nobody even wondered about them. When I checked with Google I discovered I was right. 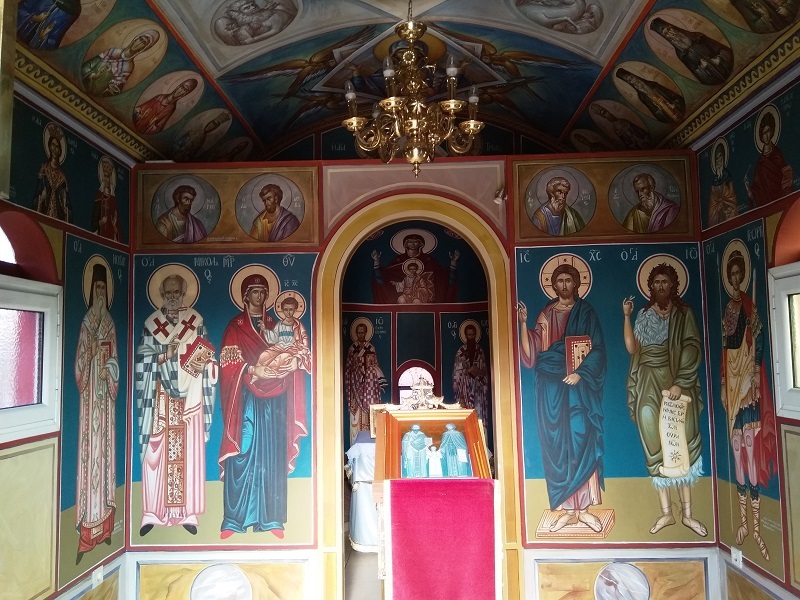 There are many such churches in Greece and a lot of them are apparently built and maintained by individuals rather than the main Orthodox church. More than that I do not know.